Barbershop is a unique form of four-part harmony singing performed in the style of a cappella i.e. without any instrumental backing or accompaniment. It originated in the USA during the Great Depression when unemployed men gathered at the local barber shops and sang to while the time away. It is still very popular in North America and has taken hold in Europe, primarily in the UK but also in other countries such as Germany, Sweden, Holland, New Zealand and Australia. The British Association of Barbershop Singers (www.singbarbershop.com) was founded in 1974 and today there are 58 choruses in the UK. Although originally a purely male pursuit, female barbershop singing also developed and is thriving with The Ladies Association of British Barbershop Singers as their central organisation. Each of the four parts provides one element of a four-note chord. The “Lead “ sing the melody i.e. the tune of the song. The other three parts provide support with the “Bass” singing in the lower range, the “Tenor “ singing above the Lead and the “Baritone” completing the chord. This arrangement, and particularly the presence of an unusually high Tenor line provides for a unique sound specific to Barbershop. The basic Barbershop unit is the Quartet with each member taking one of the four parts, but it is also commonly performed by choruses, some of which have up to a hundred members. The arrangements are adapted to male or female voices so that quartets and choruses are either all male or all female. 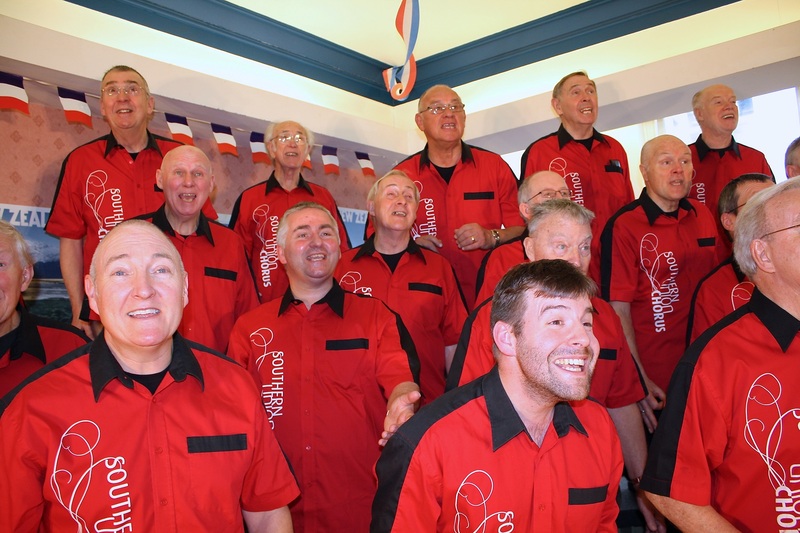 “Barbershoppers” sing from memory, without relying on sheet music. This maximises opportunities for stage presentation and communication with the audience, making a Barbershop concert and unique form of visual as well as musical entertainment.